The newest variant of Xiaomi's selfie-centric smartphone, the Redmi Y2 will be up for sale at 12 PM today. The device will be on sale on Amazon and is priced at Rs 9,999 for the 3GB RAM/32GB storage variant, while the 4GB RAM/64GB storage variant is priced at Rs 12,999. Those with a Citi Bank credit card can avail a 10% discount on the purchase of the smartphone. Further, Amazon Prime subscribers can avail an additional 10% cashback. 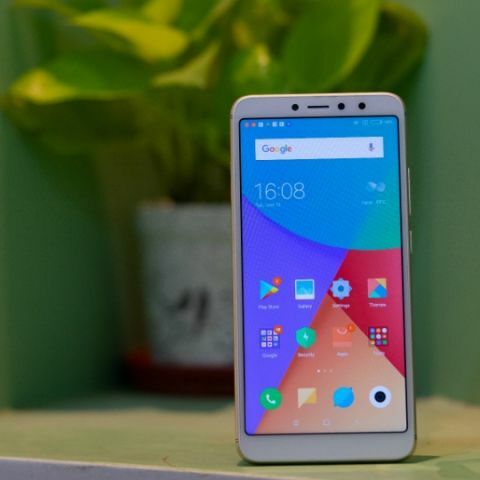 The Xiaomi Redmi Y2 is powered by a Qualcomm Snapdragon 625 octa-core processor and features a 5.99-inch HD+ display with an 18:9 aspect ratio. The device has a 12MP + 5MP dual setup at the back, which allows for bokeh shots. At the front of the Redmi Y2 is a 16MP sensor, and offers an Al-based Beautify 4.0 mode. The company says that the feature enhances images using artificial intelligence. Other than the regular fingerprint sensor, the Redimi Y2 also comes with face recognition technology. The Redmi Y2 runs on Android 8.1.0 Oreo with MIUI 9.5.0.3. Moreover, the smartphone features a dual Nano-sim slot and a separate microSD card slot with up to 256GB SD card support. You can check out our review of the Xiaomi Redmi Y2 here. Is it true that Xiaomi Redmi 1S will launch at price 7000 ? i3 with 820M graphics card or i5 alone on \"LAPTOPS\"
How to add contacts on Motorola Moto E on SIM Card?